This is Part 2 to a post series, and Part 1 can be found here if you’re interested. With that taken care of, I’ll jump into the post. When your characters are talking what’s the circumstance? Are they flirting? Arguing? Discussing philosophy? Having a board meeting? All of these things will affect the way your characters speak, and what words they use. They’re going to speak to each other in different ways depending on their emotional states, surroundings etc. 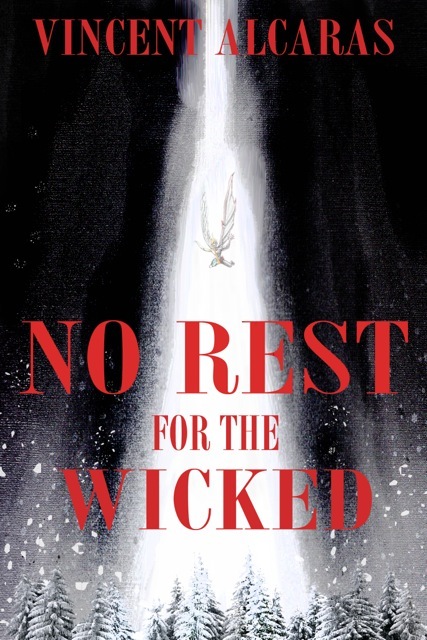 In my novel No Rest for the Wicked, two of my main characters, Nico and Isabella are arguing. Nico being the more aggressive of the two personalities is telling Isabella exactly what he thinks of her boyfriend Stan, while Isabella’s trying to defend the man. As I was writing I found that Nico had gone off on a bit of a tirade, pointing out all of Stan’s perceived faults, etc. Looking at the dialogue I realized I had this paragraph long piece of dialogue filled with venom and exasperation and it hit me. Nico is not going to take all that time to curse out someone who isn’t in the room, and there’s no damn way Isabella’s going to sit there and take it. So mixing a few of the principles I speak of in this post, I had Nico cut himself off, because he was getting sick of talking about the man and wrapped it up quickly by making his point. I used characterization, pace of speech and circumstance to construct a very nicely put together piece of dialogue that I think works very well for the story. Now this is a tricky part. While the first 3 tips in this post series all has to do with how you can use the characters to drive the dialogue, this is where you need to keep your author’s cap on so that you can rein them in a little when necessary. Dialogue is a very interesting thing to write, and I often find myself unintentionally giving too much of the story away in the dialogue, before I even want to present it in the narrative. Luckily I catch most of these errors, and my editor grabs the rest. You need to pay attention that you’re wording of something isn’t so explicit that you might give away a plot twist, or just simply pull in a development earlier than expected. You also need to make sure you don’t word anything too vaguely, as this will eliminate the foreshadowing or subtle meaning in your dialogue. Dialogue is something all about control and balance and oftentimes it’s hard to do properly. I’ve had more than my fair share of moments staring at my computer, writing and deleting over and over again, not able to get a sentence or whole conversation just right. It takes time and experience and it’s something you just have to play with. But, there’s a bright side. If in your writing you make sure to practice tips 1 – 3 then, 4 will develop itself naturally. Keep writing and eventually your own style and flair for dialogue will fall into place.